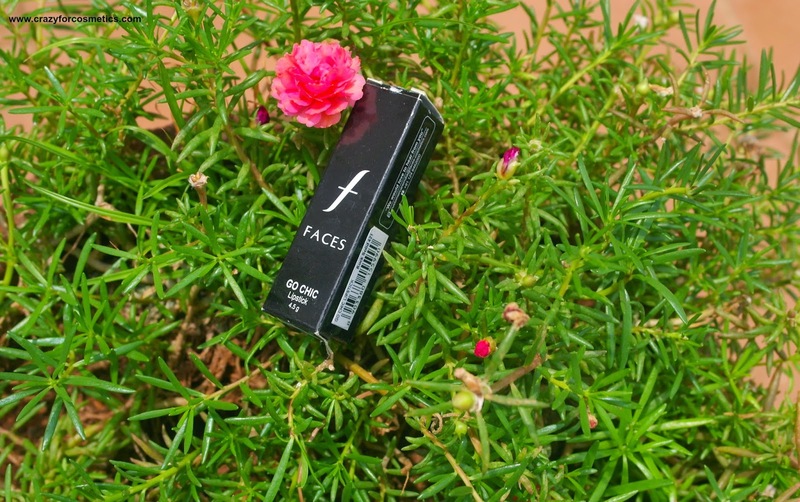 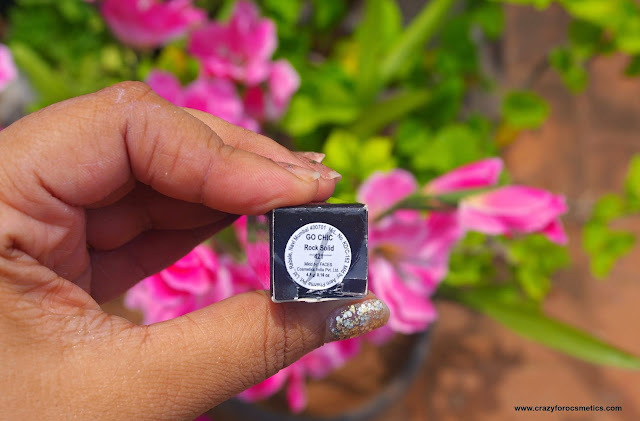 The lipstick comes in a black cardboard casing which has the Faces symbol printed. 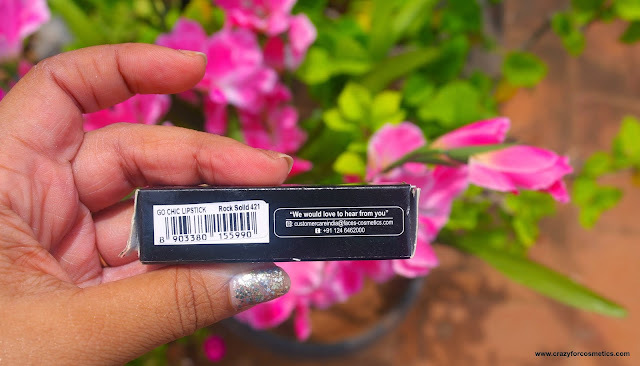 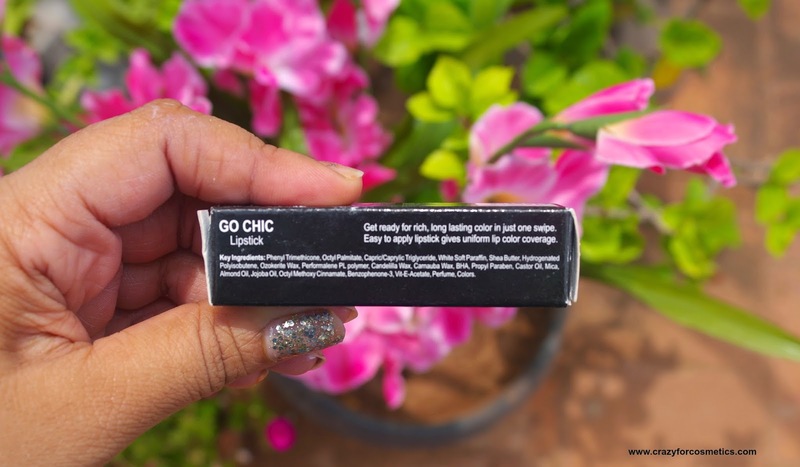 The lipstick comes in the usual retractable tube with a glossy black plastic casing. The lid sits tightly with a click sound and it has the text faces printed at the center where the the lid and the bottom case meet. Nothing much to complain for the price I paid for the Faces Canada Go Chic Lipstick. 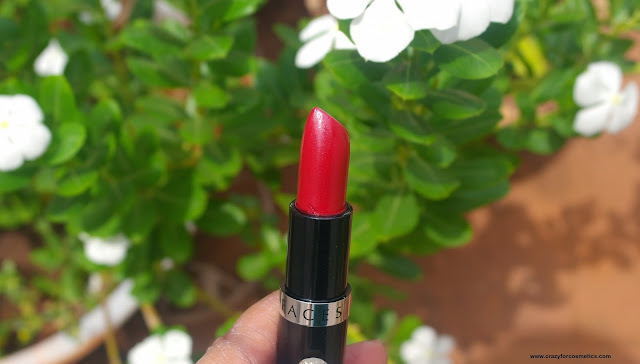 The shade Rock Solid is an earthy red shade with brown and pink undertones.It looks like a pinkish red in the bullet, but on the lips it is more of an earthy red shade. It looks like brick red under sunlight and pinkish red in normal lighting. 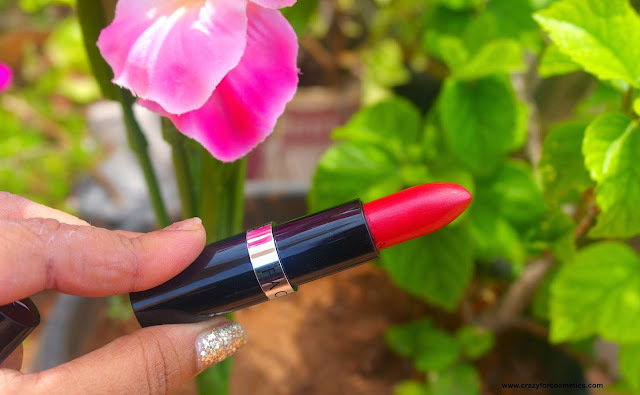 The shade would go well with a variety of Indian skintones and can be muted down by just applying one coat for daily wear. 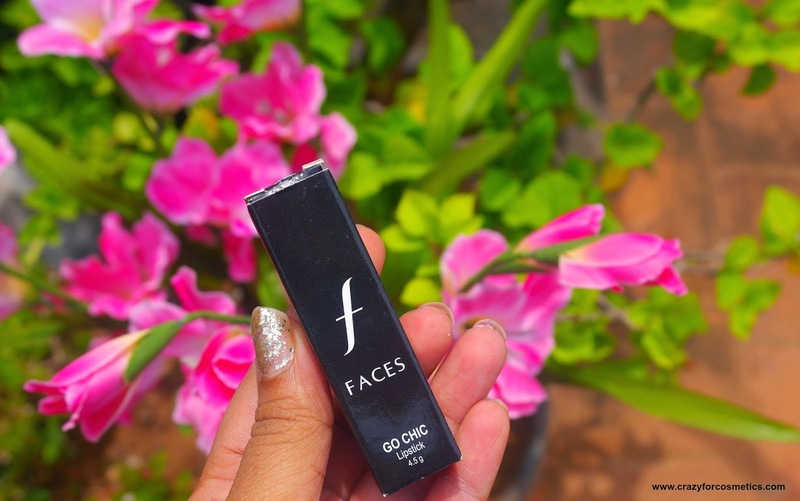 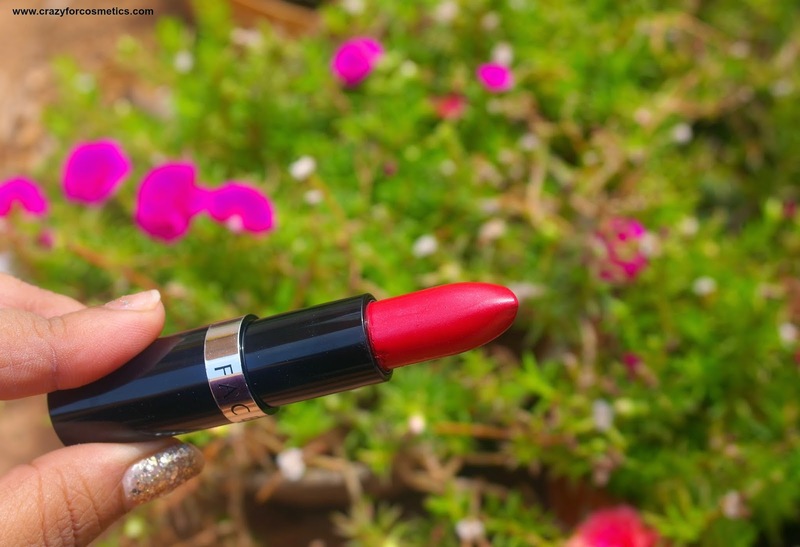 The lipstick glides smoothly even on dry lips and gives decent coverage in one swipe. 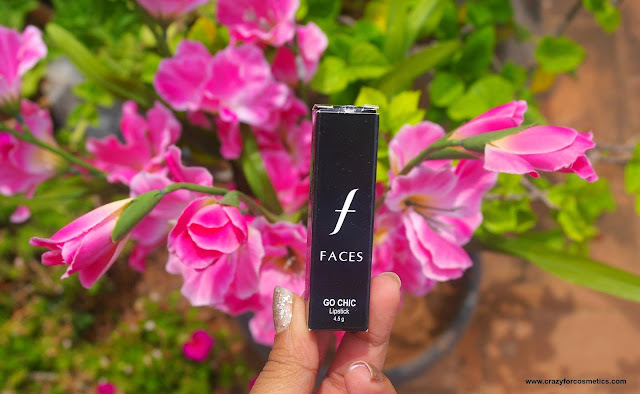 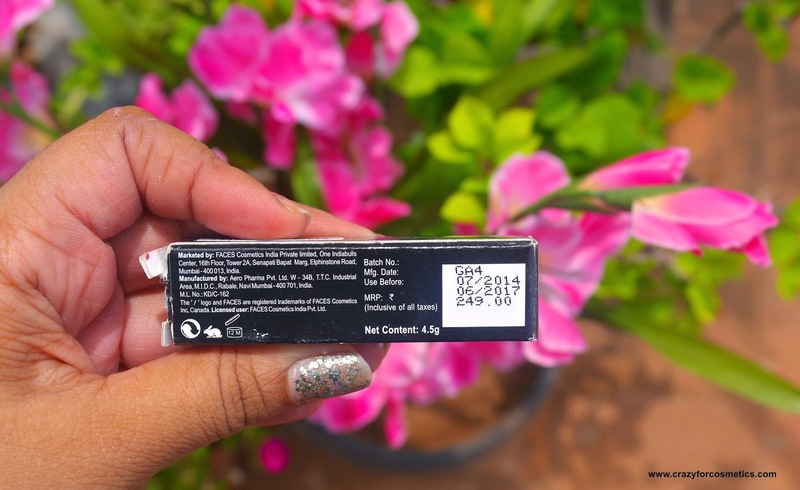 However, multiple swipes can give you the deepest of color without looking streaky or unnatural.The formula is quite light, creamy and moisturizing. 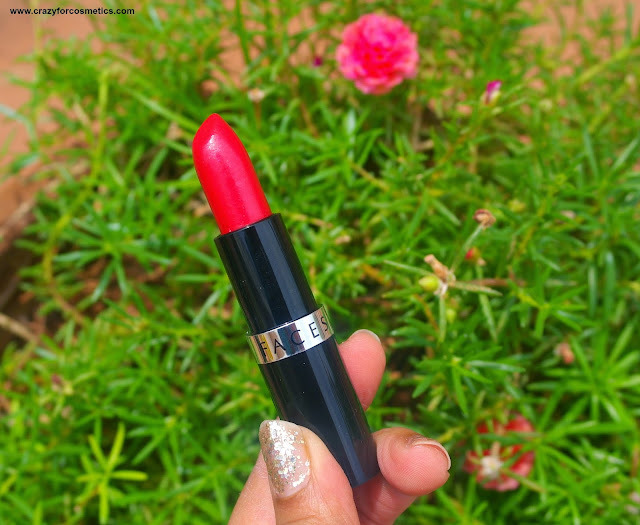 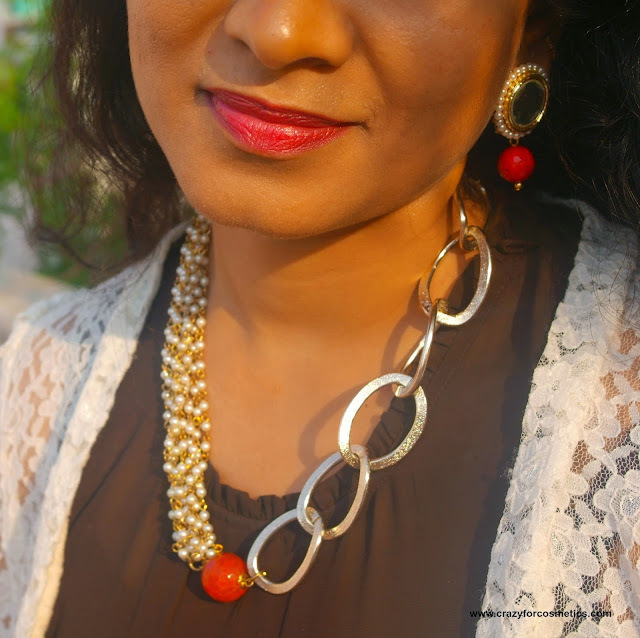 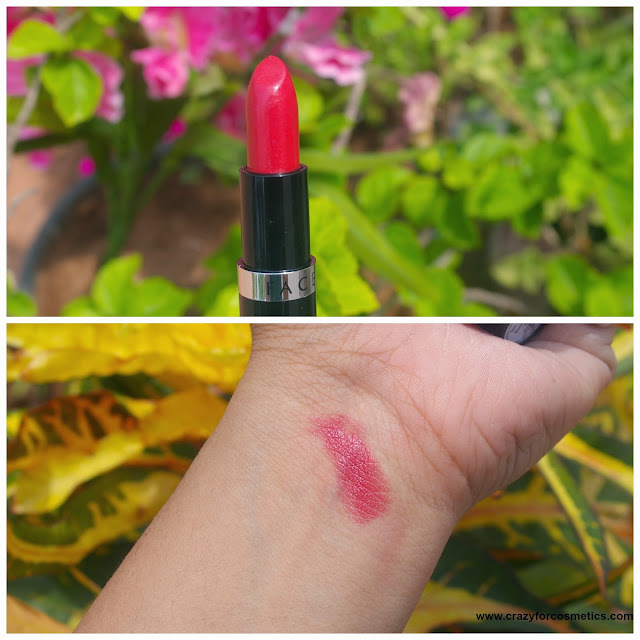 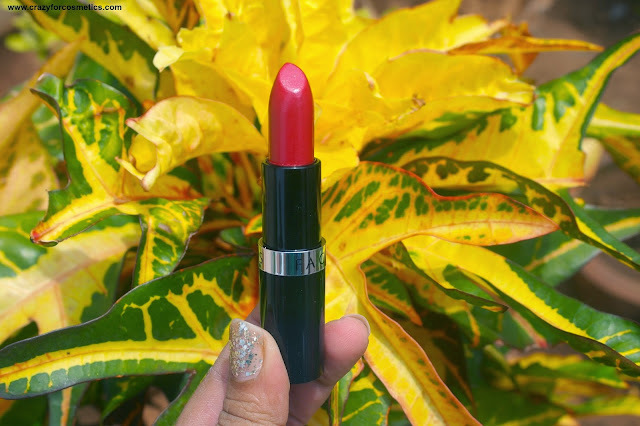 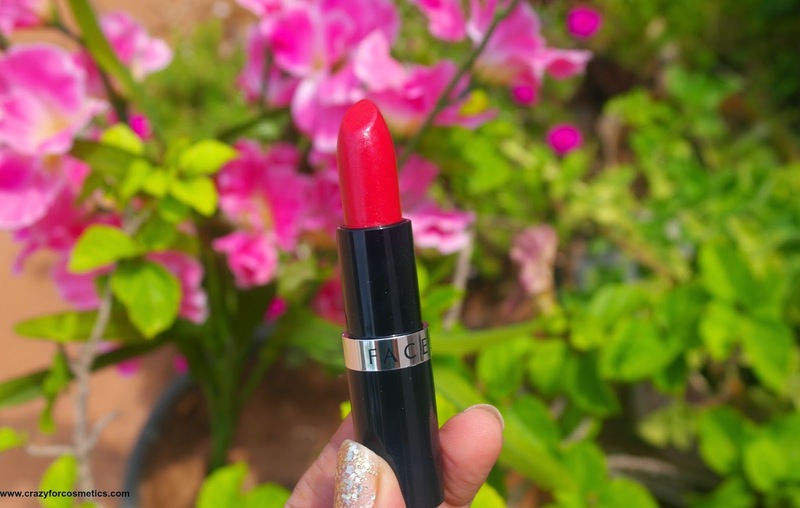 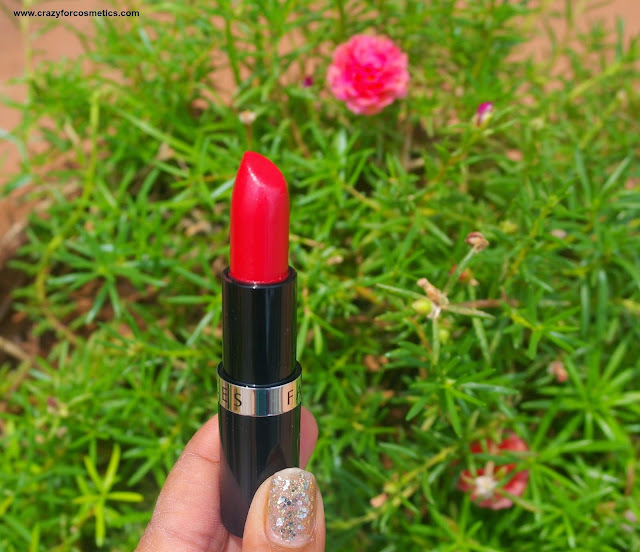 It sets like a cream sheen finish lipstick on the lips and hydrates the lips.